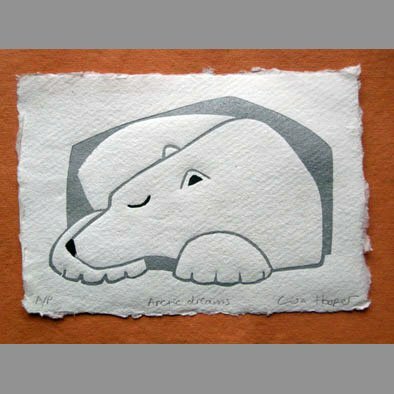 This is a small linocut (15cm x 11cm) on a deckle edged cotton rag paper. It is printed in silver and grey. The total edition size is 40 but please note 1-20 are printed as here in silver and black, and 21-40 are printed in blue, listed in the shop as a separate product to avoid confusion. 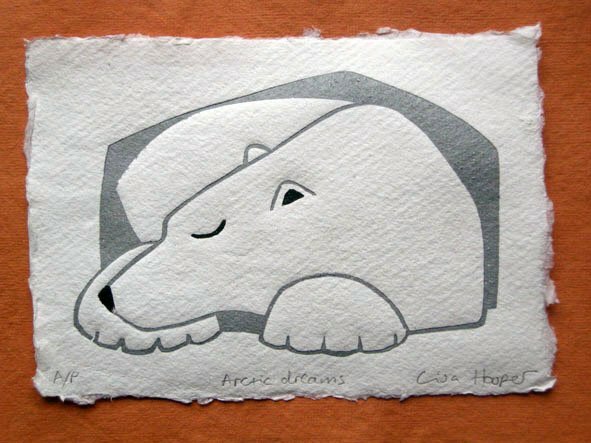 The orange paper is not supplied with the print but the suggestion is that the print is floated against a background colour of your choice when framing, which will show off the deckle edges.